With all posturing and jockeying for position already being made by the British GT runners ahead of tomorrows Silverstone 500 race, all the evidence from Fridays testing and todays Free Practice and Qualifying indicate a totally open race that just about anyone could take at the flag. 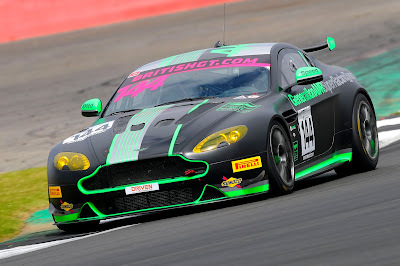 Despite Championship lap records being broken in both the GT3 and GT4 classes (Nicki Thiim in the #11 TF Sport V12 Vantage GT3 taking the honours in that one) during Free Practice earlier today, that still didn't give any indication about just who were the most fastest and more consistently fast runners in either class despite the #11 TF Sport car of Thiim and Mark Farmer finishing FP1 on top and the #47 Jetstream Vantage GT3 of Graham Davidson and Maxime Martin replicating that honour in FP2 as others had kept their powder dry for the combined qualifying of this afternoon. The biggest surprise in the GT4 class was the high running of the guesting #144 Generation AMR SuperRacing V8 Vantage GT4 of James Holder and double driving duty man Matt George as they secured the fourth fastest GT4 overall time in FP1 and the GT4 class fastest time in FP2 in the morning sessions and that came after similar performances during Friday's test! 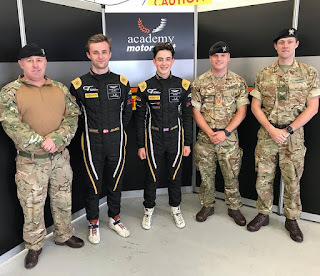 With just a single but elongated three hour race on Sunday, Qualifying was again down to both drivers to submit their best times with the aggregate time confirming the grid positions - as usual, the amateur and professional drivers each ran in their own qualifying session in each of their respective classes. 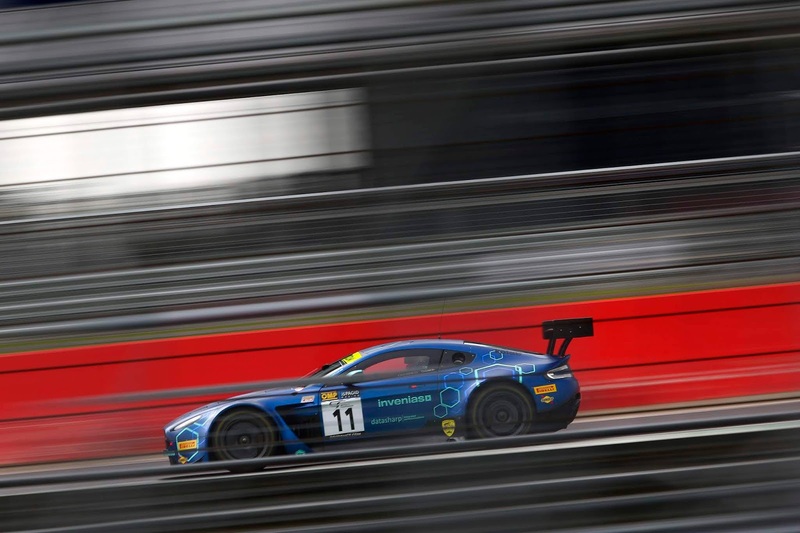 In GT3, the RJN Nissan became the surprise as Struan Moore and new recruit Ricardo Sanchez stepped up to claim their first pole position of the season despite the best of efforts from the #11 TF Sport duo of Thiim and Farmer who finished just under a second down to the Nissan. 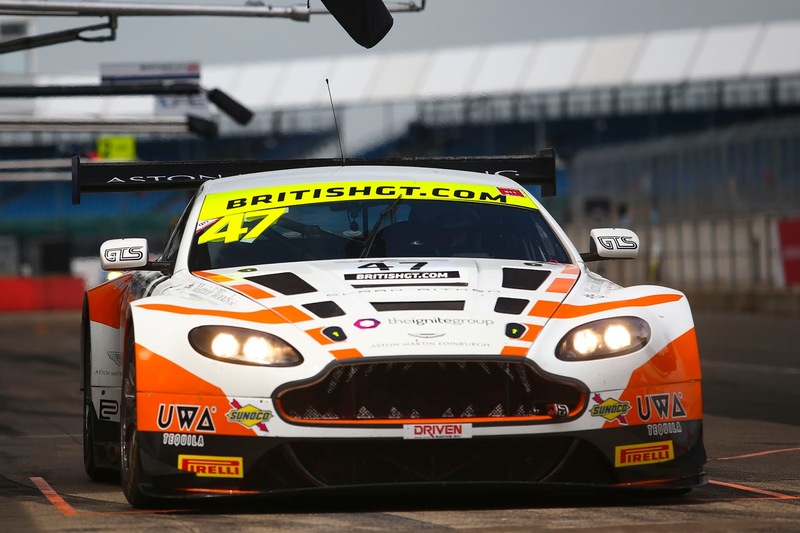 The #47 Jetstream Vantage was very close behind the #11 after a stonking lap late on in his session from AMR factory man Martin to claim P3. 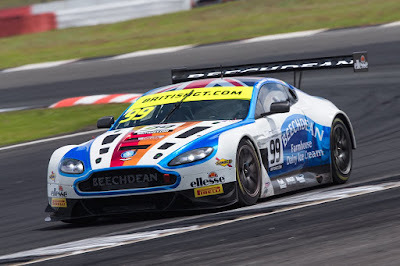 The three remaining full season GT3 Vantage's came in grouped together starting in P7 for Jonny Adam and Flick Haigh in their Optimum car, the #99 Beechdean AMR car of Andrew Howard and Darren Turner 0.2 of second behind them with the #17 TF Sport car of Derek Johnston and Marco Sorensen another 0.2 seconds behind them again in P9. The #26 Ultimate Speed car of Mike Brown and Matt Manderson was understandably way off the pace and would bring up the rear of the GT3 grid. 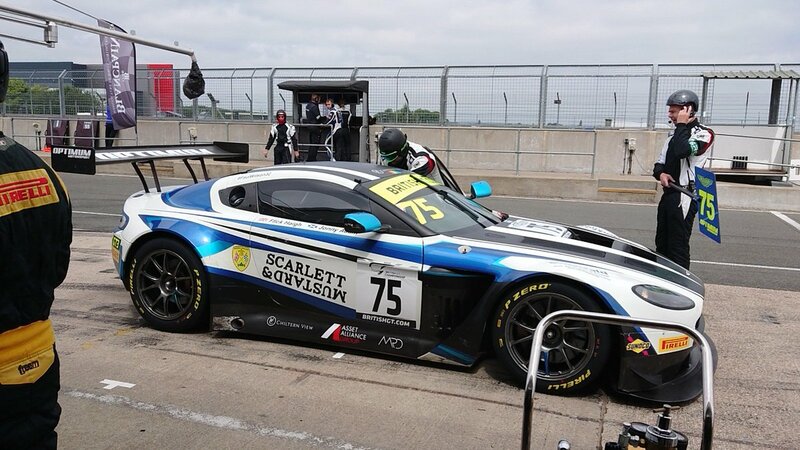 GT4 meanwhile was ultra competitive again with positions not really secured until the chequered flag came down at the end of the combined 20 minute session. 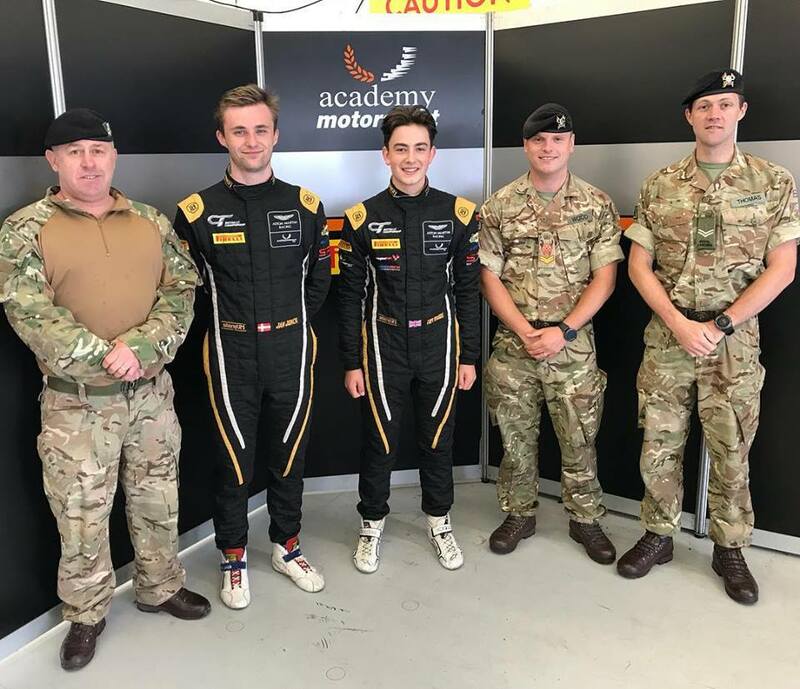 For Academy Motorsport's Tom Wood and Jan Jonck came their best qualifying of the season to date as they overcame technical issues last time out at Snetterton to secure P2 for tomorrows race but nearly a second behind the pace setting McLaren - well done them. 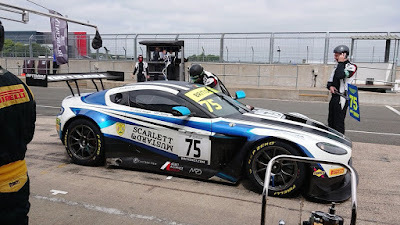 Not too far behind them was the teams sister Vantage GT4 car of Will Moore and Matt Nichol Jones who finished P4 overall in their #62 car who will looking for their third consecutive podium finish tomorrow. 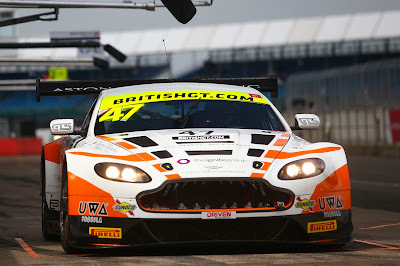 For the #144 Generation AMR, Qualifying became not as simplistic as Free Practice as the season regulars soon upped their game to put Holder and George back down to P16 in class for the race. A further ten minute warm up period starts the day tomorrow for the British GT field ahead of the start of the three hour race which begins at 13:10Hrs. 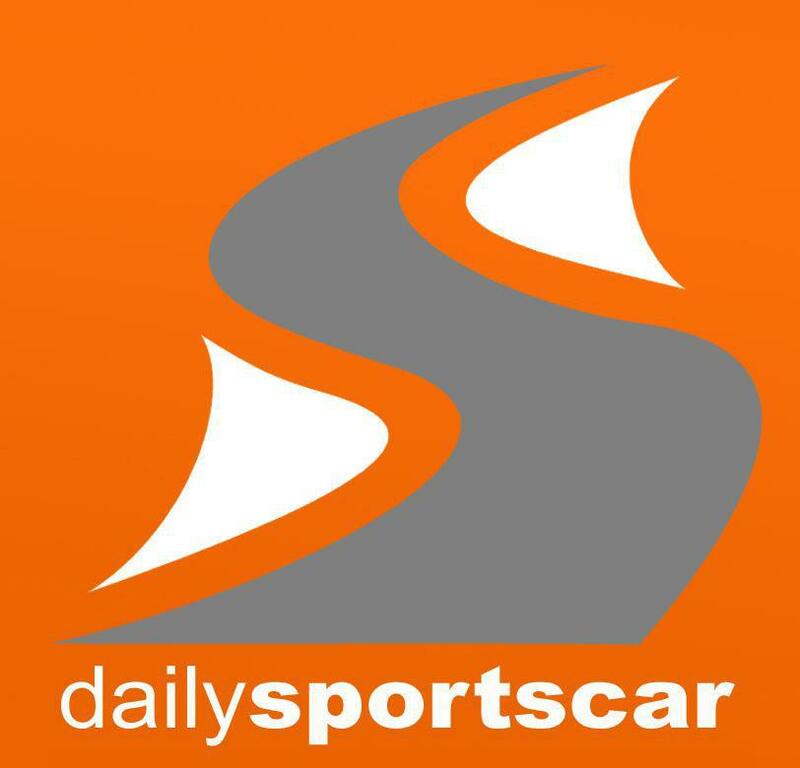 for those not lucky enough to be at the circuit tomorrow the race will again be streamed I've via the British GT social media pages.